Stands and bases are sold separately, and we recommend that you attached them to a wooden or steel base. We offer treated wood bases and stairs for our blinds— you can find out more about the bases on our Gear page located here. 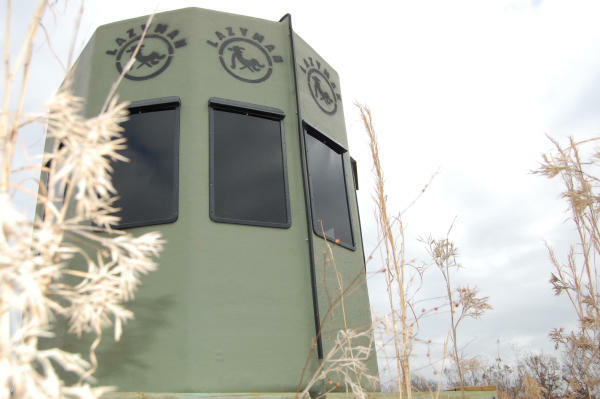 Each blind comes with all matching hardware, windows and accessories...and we have extra if you lose them! Color options and shelves are available for each stand.